Cleanliness is said to be next to Godliness. Hence, it is of utmost importance to keep clean- not only our own bodies but also the surroundings in which we live. Now, the cleansing agents that are sold in the market contain harmful chemicals like chlorine. Baking soda that is at times used to clean tough stains also is harsh on the skin and on the surface. Hence, although by using these cleaners, we are definitely “going clean” but what about “going green”? There needs to be a balance between the two and hence we should use those cleaners that do not cause any harm to the environment. What are essential oils for cleaning? Such cleaners are the naturally available essential oils like lemon oil, lavender oil, tea tree oil, peppermint oil and orange oil. These natural essential oils have some important cleansing properties. Some of them are antibacterial essential oils while some others are anti fungal. When used in right quantities, these essential oils for cleaning can help keep ourselves neat and clean. Typically, these oils can either be applied directly on to the body for desired effects and alternatively, they can be blended with water or other substrates to be diffused using aroma therapy. These essential oils for cleaning not only are excellent cleaners but also environment friendly and serve multiple purposes. 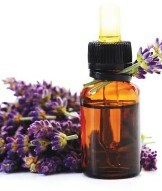 For instance, lavender oil not only has a sweet fragrance but also disinfectant properties. Thus, instead of using synthetic cleaners, one should definitely prefer the “natural” cleaners to the chemical ones. Another excellent essential oil that can be used is tea tree oil. It has anti-fungal properties and thus is superior in this regard to the artificial ones. It is also an enjoyable experience because these oils are soft on your skin, are fragrant and fill the home with a sweet smell, thus acting as air fresheners as well. These essential oils can also be used to wash laundry. 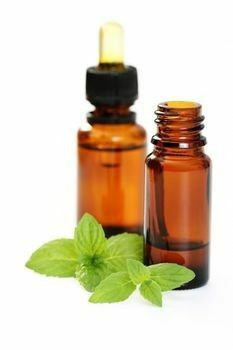 A tiny drop of peppermint oil can be used to wash kitchen linen. This will not only ensure freshness and a soothing smell but also help kill germs. This is extremely important especially when it comes to cooking and eating. A speck of tea tree oil can help kill fungus and prevent molds from forming over clothes, like carpets or rugs or those clothes that remain in the closet for a long time. A simple uses of essential oils can have great impact on how clean and safe your kitchen and linen are. First off we have lavender. Among all the essential oils for home cleaning, lavender is a great help. It's because laveender has an antiseptic properties as well as cleaning power. The best use for lavender is for your smelly shoes. Add 15 drops of lavender essential oil to one cup of baking soda and leave the lavender oil baking soda mix in a tightly closed jar for a couple of hours to allow the lavender and baking soda to blend completely and penetrate. Afterwards, generiously sprinkle the blend mix in the insoles of your shoes and leave it on for eight hours. The blend will penetrate the insole and get rid of the bacteria causing the bad odor while leaving a fresh lavender scent behind. Next on the list is the orange. Orange, as well as lemon scents oils make for highly effective disinfectants due to their natural acidity, which kills bacteria. For a homemade spray and wipe cleaner that lets off a fresh smell, combine 150 ml of white vinegar, 350 ml of boiled water, one teaspoon of either borax or baking soda, a little bit of dishwashing liquid, and 15 drops of orange essential oil. Pour everything into a clean spray bottle and begin using when necessary. If you want a simpler version of this cleaning solution, just add a few drops of either lemon or orange oil to a wet cloth and clean the surfaces you want to clean. 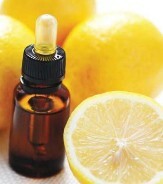 Same as orange, lemon has great antiseptic properties because of its natural acidity. The best way to use it is as a window cleaning solution, which cleans and polishes widows at the same time. To create this lemon cleaning solution, simply add 10 drops of lemon essential oil to a vinegar and hot water mix in a clean spray bottle and spray on the windows and wipe it off. This will leave clean and shiny windows that will also smell fresh and clean. Clove is simply abrasive is good for getting rid and discouraging mold build up on surfaces. And a simple cleaning solution that uses clove essential oil and accomplishes this is to mix a few drops of clove essential oil in white vinegar and hot water. And for stubborn mold and hard to reach places, make a paste using baking soda, clove essential oil, and water and scrub the mold with an old used toothbrush. Tea tree yields off a fresh fragrance and has disinfectant properties. It can be used to wash clothes as well as clean floors and the toilet. You can use tea tree to clean and disinfect baby's cloth nappies by adding a few drops of teatree oil to the nappy bucket or into the washing machine. You can also use tea tree to clean floors by adding 15 drops of tea tree essential oil to a bucket of warm water, 150 ml of white vinegar, and add a little detergent. or you can use tea tree as a toilet cleaner by adding a few drops of tea tree essential oil into the toilet water and using a cloth to clean in and around the toilet. Eucalyptus has an antiseptic properties that kill viruses and bacteria. A simple spray solution using eucalyptus oil is to add 30 drops of eucalyptus essential oil, 20 drops of tea tree essential oil, and a tablespoon of vodka to half a liter of boiled water and pour the solution into a clean spray bottle and spray rooms to kill bad viruses and bacteria. Further reading; Get some Aromatherapy blend essential oil using these oils above for use around the house. However, one needs to be cautious when it comes to buying these oils. In order to produce these oils in bulk and quicker, sometimes, these oils contain harmful ingredients, which defeats the very purpose of buying these oils.